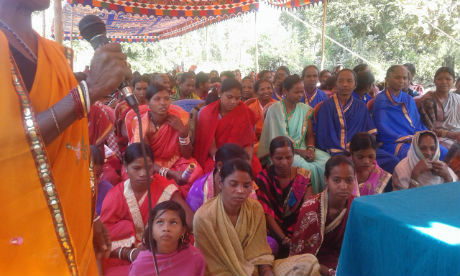 Paralakhemundi: Paralakhemundi -Society for the Welfare of Weaker Sections (SWWS) organized District Level Tribal Women Convention at Dombapur of Rayagada block in Gajapati district. Speaking on the occasion Mrs. Snigdharani Panigrahi, former State Women Commission Member, Odisha prirtized women’s core responsibility to bring them better recognition with men in domestic & community level. She sought various legal entities to overcome attrocities against women by uniting themselves. Basically tribal women are more concerned on their livelihood for which they must own their ownership rights. Secondly Child Marriage is the biggest threat polarizing health & nutritional factors. They must ascertain on minimum literacy particularly to their daughters who can swing better prospects. Legal Aid in all districts is a scope to get their rights on domestic violence & other family conflicts. 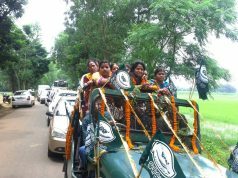 On her inaugural address Ms. Basanti Mallick, MLA of Mohana, stressed On Women Empowerment. On her experience she could reach to highest position in state level from Sarpanch. She facilitated all commitment & won the hearts on various development activities. On livelihood too women can enroll their ownership rights on all assets documents with her spouce. Further to expand more economic stability they can join on skill development training like men.Among others Rukuna Paik, Laxmi Bhuyan & Sabita Sabara tribal women Activists; SukiSabar block Chairperson of Mohana shared their experiences to bring more role on decision making & even fired on to block liquor stream that dethrone quality lives & health of poor tribal deserted to poverty.D. 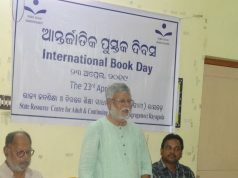 Jagannath Raju, President of SWWS viewed on objectives of Convention. Bhagabat Padhi, Governing Body Member of SWWS, Sanghamitra Sabar, Member of District Tribal Development Council, Gajapati facilitated the Convention. 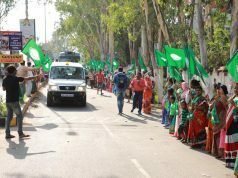 About 500 tribal women from Rayagada, Nuagada, RUdayagiri & Mohana blocks attended the program.